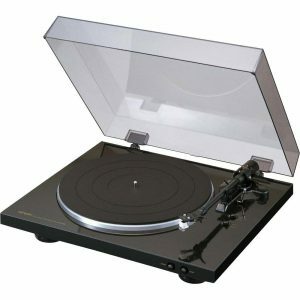 You are here: Home / Turntable Reviews / What’s the Best Audiophile Turntable Under $500? 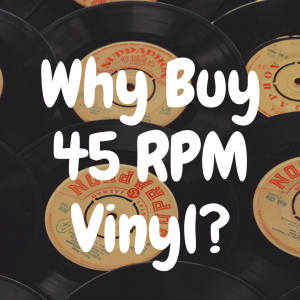 In this article, I’m going to go over how you can finally jump into the world of vinyl at an affordable price. There are a lot of really great turntables being made now, and if you’re armed with just a little bit of knowledge, you can acquire one for less than $500. Does the Pro-Ject Debut Carbon make our list? 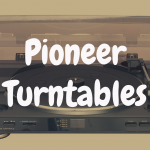 So break out your notepad, because we’re about to embark on a journey that will end with you having a better idea of what brand and model of turntable you should most consider purchasing. First things first—don’t be afraid. I know, a little turntable research can lead to massive headaches and panic attacks. 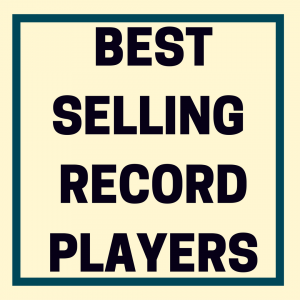 The past decade has seen an explosion in the vinyl scene. While some see it as a passing fad, it seems the movement is here to stay. Now, when you’re talking turntables, quality matters. And you absolutely get what you pay for. Take your time and make the right choice for you. After all, if you’re going to get in the game, you need to be playing with the right gear. Before you whip that wallet out and start making it rain, there’s a few things you need to consider to ensure that you get exactly what you need. Cost – Rule number one with any major purchase is this: know your price point and stick to it. As I said, there are tons of options on the market right now and they vary dramatically in price. If you’re just getting started, you really don’t need to drop $5,000 on a deck – especially when you can get everything you need for under $500. So, for the purposes of this article, lets stick with that $500 cap and see what we can turn up. Sound – I love my iPod as much as the next guy, but I always feel like I’m missing something when I jam those earbuds in my ears.What, you ask? Warmth and depth of sound.Sure, it’s a gas to go to record stores and score rare discs, but the primary reason to listen to music on vinyl is the aural beauty that the medium produces. You simply cannot reproduce it digitally. Whatever deck you settle on, just make sure it can bring the warmth as much as it brings the noise. 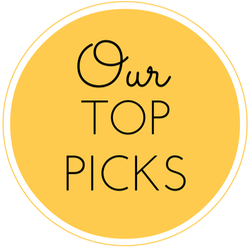 Features – Do some research here ‘cause features are what you’re spending your money on. It’s also where you’ll have the most decisions to make. Tonearms, plinths (aka the base), platters, speed controls, drive-belts and especially stylus’ … there are a lot of features to choose from. With most audiophile decks, these features will be upgradeable, but they all matter. So choose wisely. 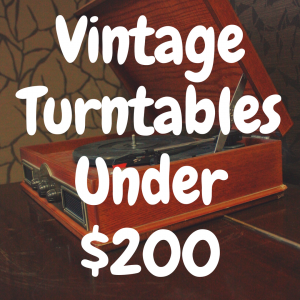 Remember that – at this price range – few of the turntables included on this list come fitted with a phono pre-amp. So once you’ve made all the decisions regarding your new deck, there will be at least one more decision to make. Style – Turntables can come, quite literally, in different sizes, shapes and colors. Sometimes you can see the belt, sometimes it’s hidden under the platter. Some tables come with an aluminum platter, others come with an acrylic platter. 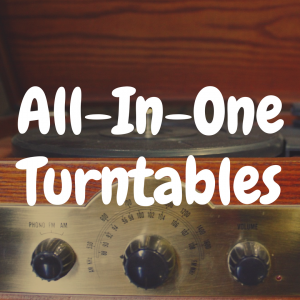 Some have the on/off switch and feature buttons on the front of the table, others conceal it on the underside of the deck or don’t include many functional features at all.Point is, every single person is different, which is why there are so many different kinds of turntables. 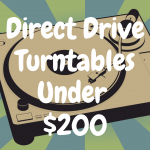 Now that we’ve got that important public service announcement behind us, let’s have a look at some of the best audiophile turntables you can score for $500 or less. Pro-Ject has been making outstanding minimalist turntables for decades. With the Elemental, they pair down their Essential II to little more than platter, drive and tonearm. In the process, they take belt-drive minimalism to insane new levels. With virtually no base to speak of, it’s a wonder this beauty doesn’t topple with every turn. Pro-Ject controls the Elemental’s central gravity mass point with an artificial stone directly under the platter, eliminating any balance control issues. They further equip this deck with an ultra low mass tone arm and a low resonance MDF platter to keep it light as a feather. Pre-fitted with an Ortofon OM 5E, this little lion also packs a serious roar. But be warned – though its design makes the Elemental an ideal plug-and-play device, its size and weight make it more susceptible to vibrations and footfalls. That means more skipping. So be careful where you place it. U-Turn Audio began with a dream to design and manufacture high-quality, affordable audiophile turntables for the masses. The Orbit Plus is the result of a successful Kickstarter campaign that put the Boston based company in business. Man-oh-man is it a good looking deck. That slick look has a lot to do with the translucent, premium acrylic platter. But that platter is also functional, delivering speed consistency and a fuller bass sound. U-Turn takes things a step further by pre-fitting their belt-drive table with a shiny Grado Black1 cartridge, known for producing the richest, most natural sound on the market and attaching it to a sleek unipivot tonearm. Oh, and this deck comes in five different colors. U-Turn are the new kids on the block, but if they keep making quality decks like the Orbit Plus, that block is gonna get real small, real quick. If you’re looking for a relatively effortless listening experience, look no further than Denon’s DP-300F. Featuring fully automatic operation, push-button speed control and built-in pre amp, this Denon deck is ideal for the plug and play set. It doesn’t think. It doesn’t feel. It just spins. With its sturdy, die-cast aluminum build, it’s also the toughest deck on this list. But take note—as is often the case with audiophile decks—what you gain in ease you usually sacrifice in quality. Such is the case with the DP-300F’s pre-fitted Denon MM Cartridge. It’s a solid cartridge and sounds great out of the box, but it’s just not in the same sound league as the Ortofon and Grado cartridges featured on other decks. Seemingly aware of the problem, the Denon made the cartridge replaceable – a rare option at this price range – so don’t fret too much. And don’t overlook this slick little deck. With upgradeable options and for pure ease of use, the DP-300F is an excellent everyday turntable for anyone just getting into vinyl. The folks at Music Hall have been making the sexiest decks on the market for a while now. Designed with a simplified focus on the critical elements—bearing, motor and tonearm—their sleek MMF 2.2 is a masterpiece in minimalism. But there’s nothing minimal about the quiet, fluid operation of the stainless steel/bronze bearings, the silent, isolated asynchronous motor or the superb tracking of the one-piece alloy tonearm. Assembled with such quality elements, the MMF 2.2 packs big sound into one sleek package. And that’s not to mention the pre-fitted Music Hall elliptical, moving magnet phono cartridge or the dynamically balanced alloy platter that really up the MMF 2.2’s sound game. With so much going for it, it’s kind of a shame that MMF 2.2 is yet-another audiophile deck that requires you to lift the platter to change speeds. 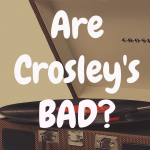 Again, this will only effect fans of 45s, so give it some thought before pulling the trigger. Either way, the MMF 2.2 is a dynamic deck that offers true audiophile sound at an insanely reasonable price. Audio-Technica has been in the game a long, long time and have never put out a sub-standard deck. That being said, they haven’t really put out a new deck in a while either. That all changes with the ATH-LP5. And wow, is this direct-drive beauty a welcome addition to the Audio-Technica family. Featuring a cast aluminum platter, a built-in phono/line pre-amp, an user-friendly on/off speed control nob and a lightweight AT-HS10 headshell (with gold plated connectors), there’s little to dislike about this deck. But the Audio-Technica crew take things a step further with a J-shaped tonearm that harkens back to the A-T designs of the ‘60s and ‘70s. Then they fit that tonearm with an Audio-Technica AT95Ex Dual Moving Magnet Stereo cartridge – a seriously hi-fi friendly cartridge EXCLUSIVE to the ATH-LP5. With so many sick features, it’s a bit annoying that this deck is so bulky. Still, it’s a bit ridiculous that you can scoop this one up for just $500. This turntable is excellent, and could have easily placed in the top five on this list. The Project Debut Carbon is a nice table that comes in a variety of colors (grey, black, white, blue, red, green, etc). It features a carbon fiber tonearm and comes pre-installed with the Ortofon 2M Red. The Red can be removed and replaced with other stylus’ of the 2M line, like the 2M Blue, Bronze, and Black. 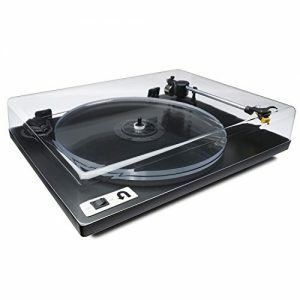 What are the Best Pro-Ject Turntables? 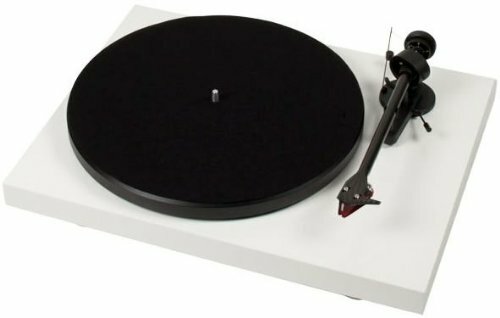 What are the Best Audiophile Turntables Under $1,000?